JULIE (SAG/AFTRA/AEA) plays the lovable meth-head, Angie Rice, on the Netflix Original Series, Orange is the New Black. She is a writer and performer based in Los Angeles, and the creator and star of the web series, Mental, and George & Julie. She attended Yale University where she majored in theater and played the title roles in productions of Mother Courage and Medea. 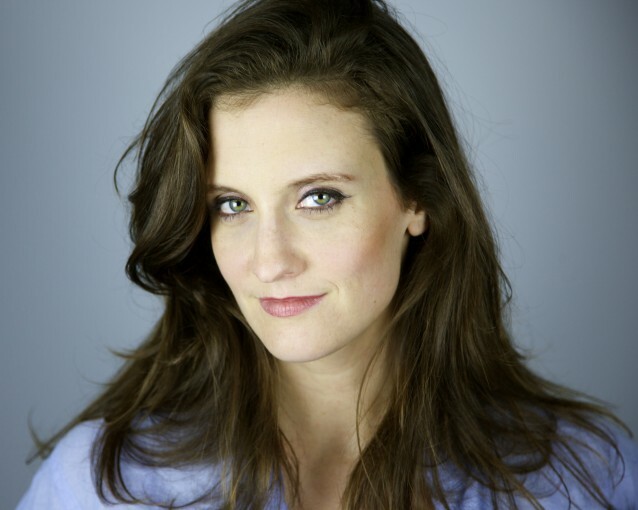 After graduation she moved to New York City where she acted in numerous plays under the direction of Alex Timbers, including Bloody Bloody Andrew Jackson at the Public Theater, Robber Bridegroom at the Roundabout, and Heddatron by Elizabeth Meriwether (creator of New Girl). Julie was a regular performer at Here Arts in Creation Nation by Billy Eichner (Billy on the Street), and she sang, acted, and puppeteered in the hit pirate, puppet, rock odyssey,Jollyship the Whiz-Bang, created by Nick Jones (executive producer and writer of Orange is the New Black and GLOW). Julie has trained and performed improv and sketch comedy at Groundlings, UCB, IO West, and the Magnet with her all female sketch team, Top Bunk. It was there she met her writing partner, Liz Gilbert, with whom she has developed several projects over the past two years. She currently lives in Los Angeles with her husband, Jeff, and puppy, Rougarou.